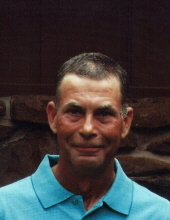 Jason John Joliet, 48, of Girard, died Monday, February 4, 2019 at his residence in Girard. Jason was born January 6, 1971 at Royal Oak, Michigan, a son of Floyd and Barbara (Rygala) Joliet. He grew up in Highland, Michigan and graduated from Lakeland High School in Highland. He married Jody Godlewski and they divorced. Jason lived in various cities in Michigan before he moved to Girard in 2012. He married Melissa Simons and she survives of Girard. Jason worked at Nate’s Landscaping in Frontenac. He enjoyed hunting, fishing, camping, and barbequeing. Survivors, in addition to his parents, of Girard, are his sons, Jason Joseph Joliet, and his wife, Kaitlyn, of Adair, Michigan and Jacob Michael Joliet of Guthrie Center, Iowa; his step-son, Cameryn Simons; his step-daughter, Haylie Simons; his granddaughter, Jordan Joliet; his brother, Joseph Joliet, and his wife, Cheri, of Howell, Michigan; his niece, Jorja Joliet. Jason’s family will receive friends from 2:00 until 4:00 p.m., Sunday at the Smith-Carson-Wall Funeral Home in Girard. Memorials are suggested to the Girard Medical Center Auxiliary and these may be left at or mailed to the Smith-Carson-Wall Funeral Home, 518 W St. John, Box 258, Girard 66743. To send flowers or a remembrance gift to the family of Jason John Joliet, please visit our Tribute Store. "Email Address" would like to share the life celebration of Jason John Joliet. Click on the "link" to go to share a favorite memory or leave a condolence message for the family.